And finally, we are including a metal challenge coin for each member. 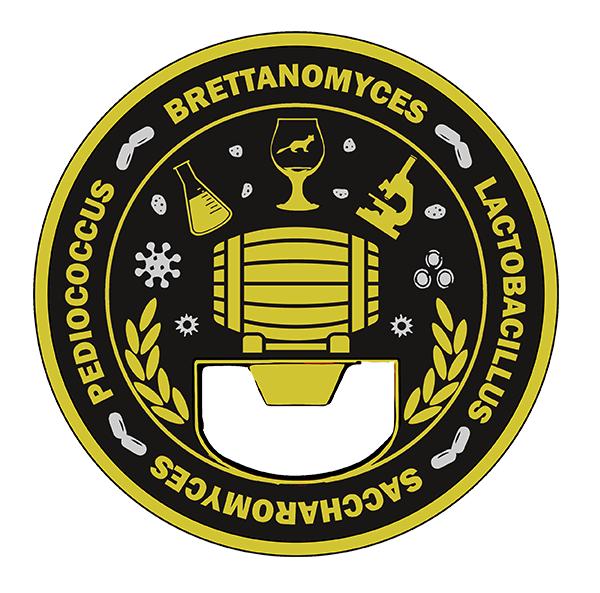 After many years of passionately homebrewing sour beers and serving as a source of education for fellow brewers, we are thrilled to finally get the opportunity to bring our creations to the public. As we build our brewery and taproom, the support of our fellow sour beer fans will be an invaluable asset to our business, and we graciously thank you for that support. Your member benefits will begin on the first day of our opening to the public and continue for 2 calendar years from this date. Members will then have the first right of acceptance in our annually recurring specialty beer club. At this time, we anticipate our opening to occur between the Spring and Summer of 2018. However, as with any startup brewery, we cannot guarantee these dates. Each of the eight bottles included with your membership will be 750 ml in volume. We plan to release these club-only beers as two bottles each of 4 different blends, but we reserve the right to release individual bottles of more than 4 blends if we deem that this will provide our members with the best possible experience. These beers may be released at any time during your membership, but we must stress that we do not expect to begin releasing club beers until approximately 6 to 12 months from our opening. We feel that this is the minimum amount of time required to properly age and blend beers worthy of release to our club members. Naturally, we can’t give you further details on the individual beers at this time. But, we can say that we love complex sour and farmhouse beers with balanced acidity, nuanced Brettanomyces characteristics, and characterful malt, oak, and specialty ingredient choices. We also love blending fruit, hops, and spices into fully matured sour beers and giving those beers ample conditioning time in the bottle. If you don’t want to rave about one of our beers after tasting, we haven’t done our jobs properly. We know that our club members may live some distance from our brewery, and as such we have tried to design your member benefits to give you flexibility in receiving your beer and merchandise allotments. We will hold each item of merchandise and all eight bottles of club-only beer at the brewery throughout your 2 year membership and for an additional 3 months after your membership ends. Additionally, each member may designate a trustee in their membership profile who can pick up their beers and merchandise for them. Finally, we will offer to ship your merchandise direct to you after our opening. To have non-beer merchandise shipped, members will have to pay an additional fee equal to the actual shipping cost, as these fees are not included in the membership price. Unfortunately we cannot ship beers directly to our members, as this is not permitted by Pennsylvania state law. In addition to the beers included with your membership, we are offering members the ability to purchase 2 bottles of each of our non-club sour and farmhouse beers one day before their release to the general public. For practical reasons, these non-club beers must be purchased on site and cannot be stored for later pickup. All pickups and sales must occur during normal tasting room hours. Upon purchasing a seat in our Founder’s Club, you will be prompted to create an online member profile. Please ensure that all of your contact information is correct and remains up-to-date throughout the duration of your membership. We will use this information both to communicate with members about brewery and beer release news, as well as to verify your identity or the identity of your trustee during transactions. All membership information is considered private and will be kept strictly confidential. We will never sell nor share your information. Members and their trustees must be 21 years of age or greater. All beer is for individual consumption and may not be re-sold. Licensed retailers are prohibited from purchasing beer unless it is solely for personal consumption and not for resale or distribution. Any beer or merchandise not picked up within 3 months of the end of membership will be forfeited. Any club member who is found to be under 21 or has violated state and federal law by reselling our beer, will have their membership cancelled. 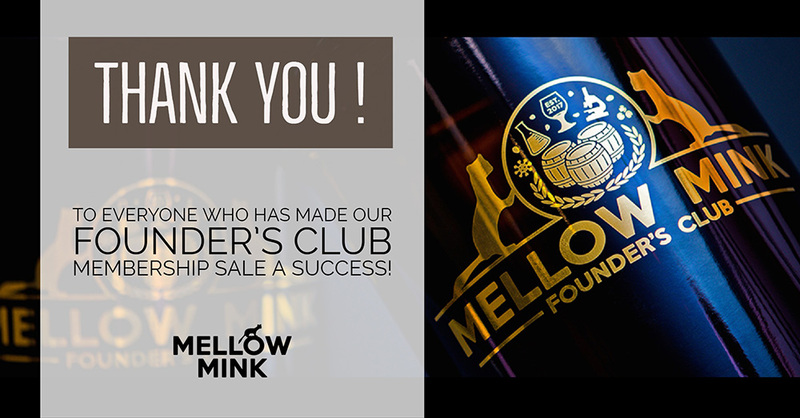 Ultimately, it is our goal to provide our Founder’s Club members with a fantastic and enjoyable club experience and we look forward to fulfilling this commitment. If you have any questions, email me or give me a call at 717-693-SOUR (7687).